Branding. It’s a word you’ve probably heard quite a bit about. It is no longer enough to simply throw a blog on the web and write some posts. You need to build a name for yourself. You need to earn your reputation as someone the public can turn to and trust. The reality of the situation is that it is not just your blog that needs a good brand. It’s really all about you. You’re going to need to start by making sure your site’s domain is short, sweet, and easy to remember. Say, for example, you want to create a site about how much you love cats. Let’s call it Cat Lover. Your domain should be just that – catlover.com. The term “cat lover” is very easy to remember and you will need to use that identifying tag on every single social media site you encounter – from Facebook to Twitter and on. You should be THE cat lover people think of when they think of their own cats. The world of marketing changes every single day, but our vocabulary is pretty set in stone. Don’t make up a new word to describe an idea or process we should already be familiar with. It may seem catchy to you, but it is confusing to the rest of the community you’re trying to reach. Stick with familiar terminology and try to avoid using buzzwords as much as possible. Otherwise, you’ll simply be remembered as that “odd” site I stumbled upon and not the genuine expert I was hoping to find. Guest posting is an incredible method for branding yourself and your blog. You’re going to start by going to some of the site owners in your own niche. In this case we’re still talking about cats. Hopefully you’re already a fan of a few cat-related blogs. You’re going to approach those owners and ask if you can write a guest post for your site. Many blog owners are open to guest posts and by writing one of your own you are doing two things. First, you are putting your name out there as an expert in your field. Second, if your lucky you will get a backlink to your own site in the process. Earlier we mentioned making sure you are using the same name across all of your social media sites. Now’s the time to talk about how important it is to have a presence on social media. Did you know that Facebook is currently competing with Google for the top ranking as a search engine? People spend tons and tons of time on social networking sites, talking to friends and searching for information. You need to be where the people are. You need to have professionally designed pages that are active and up-to-date, allowing you to communicate with followers, build a reputation, and send readers back to your site. Last, but certainly not least, make sure you have a logo that stands out in the eyes of your viewers. Once you have that logo, make sure you are consistent with the design, fonts, and colors in all of your marketing materials, websites, social media profiles, and even offline items like business cards. People who consistently see your logo will begin to associate it with you. These are just a handful of the things you should be doing to brand yourself and your blog. Make sure you are taking some time to think about the way you are portraying yourself online. The message you send will make or break your business. Corinne Dominski is a huge fan of communications and social networking. She also loves using sites like Adecco USA temporary staffing services and online faxing services to make communicating with others just a little bit easier. 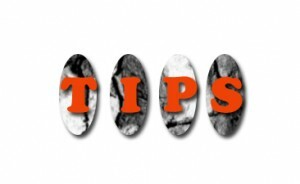 This entry was posted in Blogging and tagged Blogging, blogging tips on October 22, 2011 by noemi. I was going to say that carpal tunnel was the worst enemy to bloggers, but Jeff already chose that for his post, and so I will select John Chow (not linking him, go search him out) as the worst enemy to bloggers. Sure, it has been done many times before, and picking on John, who I’ve met and is a great person, seems kind of silly, but let me explain why. One of the biggest misconceptions still out there regarding blogging is that you can make a bunch of money overnight. John earns $1000 per day from his blog, and he built that little empire in a year, so anyone can do it, right? Well, not quite. Even if you took all of the same steps towards building and monetizing your site as he did, you would still fall quite short in terms of traffic, fame and revenue. Things have changed online and I highly doubt anyone could copy his steps to get to the same point in the same amount of time. John, also rarely adds valuable content to his site, with a strong mix of paid reviews, affiliate program posts, and a variety of content on his own life. These posts really only help to earn him more money without providing much content worth remembering and serves to only persuade people further that what he does is easy to replicate. I hear, “I could blog about food and weird products all day too” and shake my head. If only it was that simple, then everyone would be doing it. People have long since forgotten that “if it is too good to be true, then it probably is” and this rule holds even more true online than any other medium or communication space before it. John Chow is a blogger’s worst enemy. He shows the world a slanted picture of what it means to be a blogger, and is probably solely responsible for many horrible blogging trends online. This entry was posted in Blogging and tagged Blogging, John Chow on June 23, 2011 by Admin. There are many people that don’t understand what I do for a living. They assume that I can start and stop at any time, and that I am free to go with them to do the things they want me to do. They don’t understand my long hours or why I need things to be structured a certain way, but it all comes down to focus. If you want to succeed at working from home and making a living online, be it from blogging or something else, you need to have focus, and you need to find ways to make others understand that the focus to do your job well isn’t easy. Right now my focus is really messed up. My wife is only working casually right now which means she is hope a lot more. I am used to her working between eight and twelve hours a day, and so having her home all of the time has absolutely destroyed my normal daily flow and disturbed my focus immensely. It isn’t that she is always bothering me, or getting in my way, but she does take advantage of the fact that I am home, no matter how plainly I explain to her that I need to work. She doesn’t understand that I need to take many short breaks between projects to unwind, as well as having uninterrupted periods of time, sometimes for many hours, where I can be productive. Without being able to focus on my work, certain extra projects that I used to have time for fall by the wayside. Everything takes longer because I am not getting into that “groove” where I reach my peak productivity, and certain tasks that would normally take me three or four hours, now seem to stretch on for an entire day, only making me feel more stressed, further behind and a little annoyed. It definitely makes me want to have an office outside of home, and it is taking a huge amount of time to re-adjust how I get into my focused state so that I can produce quality content in a timely manner. So if you have been wondering why this blog has been a little slow lately, now you know. If anyone has any tips to increase my focus, work from home while the wife is home and making the most of such close quarters, I would love to hear them. Please let me know in the comments below. This entry was posted in Blogging, Feature and tagged Blogging on May 25, 2011 by Admin.